Nearly two million immigrants have been deported since President Obama took office and in 2012 alone, an estimated 150,000 U.S. citizen children lost a parent to deportation. “We are dismayed by the President’s continued inaction,” said Natasha Kelemen of the Pennsylvania Immigration and Citizenship Coalition. “Every day that goes by means hundreds of families torn apart: Children torn from fathers and mothers, and forced into living without the loving presence of a parent, sometimes in forced poverty and unstable conditions”. Last month, the Fair Immigration Movement, (FIRM) the nation’s largest immigrant-rights coalition, issued a clear deadline to Congressional Republicans: Take action on immigration by June 28, or face harsh political consequences. At the same time, our movement demands immediate action from President Obama, who has a moral obligation to stop the family separation crisis taking place under his watch. “With our families unable to wait any longer, we’ve issued a double deadline: Congressional Republicans must act by June 28, and President Obama can and must act immediately to halt needless family separations”, said Ms. Kelemen. On June 28th, immigrant families and allies in Pennsylvania will come together as part of the National Day to Stop Separating Families to call on President Obama to take immediate action to stop deportations. 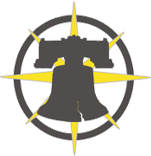 The Pennsylvania Immigration and Citizenship Coalition (PICC) is a diverse coalition of over 50 member organizations and hundreds of individual members. Our membership includes community groups, mutual assistance associations, social, health and legal service providers, advocacy organizations, unions, faith communities, community leaders and concerned individuals. Our mission is to advance immigrants’ rights and promote immigrants’ full integration into society by advocating with a unified voice for greater public understanding and welcoming public policies throughout Pennsylvania. PICC is a member of the Fair Immigration Reform Movement (FIRM), the nation’s largest coalition of grassroots immigrant-rights organizations, with groups organizing for immigrant justice at the local, state and federal levels in more than 30 states. For more information, go to fairimmigration.org.